The Pew Climate Center has a roster of international, US federal, and US state & regional climate initiatives. Wikipedia has a list of climate initiatives. The EPA maintains a database of state and regional initiatives, which they’ve summarized on cool maps. The Center for Climate Strategies also has a map of links. All of these give some idea as to what regions are doing, but not always why. 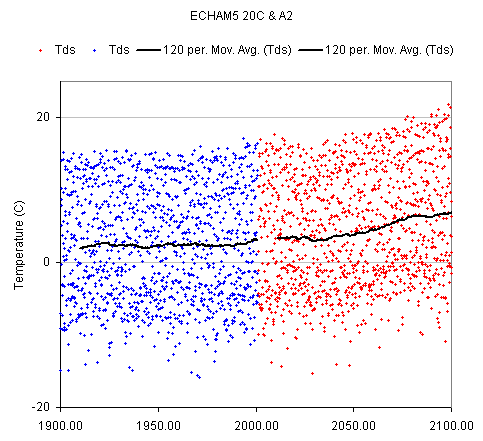 I’m more interested in the why, so this post takes a look at the models used in the analyses that back up various proposals. In a perfect world, the why would start with analysis targeted at identifying options and tradeoffs for society. That analysis would inevitably involve models, due to the complexity of the problem. Then it would fall to politics to determine the what, by choosing among conflicting stakeholder values and benefits, subject to constraints identified by analysis. In practice, the process seems to run backwards: some idea about what to do bubbles up in the political sphere, which then mandates that various agencies implement something, subject to constraints from enabling legislation and other legacies that do not necessarily facilitate the best outcome. As a result, analysis and modeling jumps right to a detailed design phase, without pausing to consider the big picture from the top down. This tendency is somewhat reinforced by the fact that most models available to support analysis are fairly detailed and tactical; that makes them too narrow or too cumbersome to redirect at the broadest questions facing society. There isn’t necessarily anything wrong with the models; they just aren’t suited to the task at hand. One result of the omission of a true top-down design process is that there has been no serious comparison of proposed emissions trading schemes with carbon taxes, though there are many strong substantive arguments in favor of the latter. In California, for example, the CPUC Interim Opinion on Greenhouse Gas Regulatory Strategies states, “We did not seriously consider the carbon tax option in the course of this proceeding, due to the fact that, if such a policy were implemented, it would most likely be imposed on the economy as a whole by ARB.” It’s hard for CARB to consider a tax, because legislation does not authorize it. It’s hard for legislators to enable a tax, because a supermajority is required and it’s generally considered poor form to say the word “tax” out loud. Thus, for better or for worse, a major option is foreclosed at the outset. A spruce budworm outbreak here has me worried about the long-term health of our forest, given that climate change is likely to substantially alter conditions here in Montana. The nightmare scenario is for temperatures to warm up without soil moisture keeping up, so that drought-weakened trees are easily ravaged by budworm and other pests, unchecked by the good hard cold you can usually count on here at some point in January, with dead stands ultimately burning before a graceful succession of species can take place. The big questions, then, are what’s the risk, how to see it coming, and how to adapt. To get a look at the risk, I downloaded some GCM results from the CMIP3 archive. These are huge files, and unfortunately not very informative about local conditions because the global grids simply aren’t fine enough to resolve local features. I’ve been watching for some time for a study to cover my region, and at last there are some preliminary results from Eric Salathé at University of Washington. Regional climate modeling is still an uncertain business, but the results are probably as close as one can come to a peek at the future.